Many people miss out on RNCC – Registered Nursing Care Contribution (also known as Funded Nursing Care – FNC) – and yet it’s a tax-free, non means tested benefit for people in care homes who need some degree of nursing care. RNCC is also sometimes known as Free Nursing Care. In this article we’ll call it FNC – Funded Nursing Care. The most common question people ask us is how FNC is assessed – and it often surprises them to hear that it’s not actually assessed in itself. Instead, it’s awarded to people who have been turned down for NHS Continuing Healthcare funding (full funding), but who still need some degree of nursing care. In other words, there must be a proper assessment for NHS Continuing Healthcare funding FIRST, and it’s only once the outcome of that assessment is known that a decision is made about FNC. NHS Continuing Care – this is full funding and it covers 100% of the costs of receiving full-time care, whether at home or in a care home. It covers 100% of care fees – everything. Funded Nursing Care (FNC) / Registered Nursing Care Contribution – this is a weekly benefit for people who need some nursing care, but who are deemed not to warrant the above full funding. NHS Continuing Healthcare and FNC are not the same thing. We have heard of several CCGs that routinely ‘assess’ for FNC first, as a matter of course, instead of assessing for full Continuing Healthcare funding. The result? Families are left unaware that their relative may in fact be eligible for full funding, but is instead only receiving a small weekly allowance. FNC is paid directly to a nursing care home and, depending on how the care home contract is written, it may lower the care fees paid by the individual. FNC is not available if the person needing care is in their own home or is in an ordinary care home; instead, they must be in a nursing home. The only way anyone can decide whether you should receive FNC is for you to first have an assessment for NHS Continuing Healthcare. Make sure they are assessed for NHS Continuing Healthcare funding (full funding). If they’ve already been assessed for full funding, but turned down, ask the NHS Continuing Care Team why FNC has not been awarded. Ask the care home to give you a breakdown of the nursing element of care in your relative’s care plan to support your enquiry. Remember: You should be assessed for NHS Continuing Healthcare first. Only after that should a decision be made about FNC – not the other way round. And of course, if you believe the outcome of the NHS Continuing Healthcare assessment was wrong, you can appeal. Your website is so helpful. My husband went into a care home 2 year’s ago (aged 65) with Lewy Body Dementia. His condition since December has rapidly deteriorated and is now immobile, doubly incontinent and has to be fed. I asked the care home if we could apply for NHS Continuing Healthcare (CHC). They agreed and feel he is now eligible. The Checklist has been completed and we are awaiting a full assessment date. My husband is not self funding, however I have to pay a considerable amount to top up. My alarm bells started to ring after I had a brief chat with the Care Home Manager of the home discussing CHC. He told me in their opinion he should get it … but then added ‘if he does, financially it won’t make a big difference, only a small amount’ !! A couple of weeks later i had a conversation with the care manager re the assessment who told me, ‘If he is eligible it will help us with getting extra resources’ !! I am completely shocked as from reading what you have to say if he is given CHC, then his care home fees will be paid 100%! I also ran this past the CHC team who confirmed that his fees would be paid 100%. My feeling is that the Care Home is, if he is eligible, going to take 100% of his fees and pass a token amount back to me. I am feeling very anxious about this, as I have had awkward discussions with them in the past when we were agreeing to what I should contribute. I have never been sent an annual statement. I was told our church was going to be asked if they would consider contributing a small donation to his care (its owned by a church community) I was never told one way or the other. I asked a few months ago if they were contributing and was told that I would ‘understand that it is a confidential matter between the home and my church’ !! Considering it is my account I am shocked at this response!! Hence all the alarm bells ringing. Speak to this person who often comments in Care To Be Different: “We offer a free initial advice on the phone. Regards Andrew Farley 0161 272 5222.” My alarm bells are ringing for you. This is a minefield and you never get a straight answer. Fabulous group Care To Be Different. I am always printing off advice. Yes, Andrew is happy to have an initial chat free of charge. Just mention Care To Be Different. Thanks for your kind words, Maria. Thanks for your kind words about the website, Jane. Just to update, I have just heard that Chris, my husband (with Lewy body dementia), is not eligible for NHS Continuing Healthcare!!! I am devastated! I’ve requested a copy of the decision tool, and am awaiting receipt. I have the Decision Support Tool which states: “Despite difference of scoring in behaviour, it is the recommendation of the Multidisciplinary Team that based on the evidence available that Mr X’s needs are no more than ancillary and incidental and can therefore be met within the realms of social care. Additionally the quality and quantity of his care do not indicate a primary health need at this stage: therefore Mr X does not currently meet the criteria for NHS fully funded Continuing Healthcare (CHC). Funded Nursing Care (FNC) was considered but Mr X is currently living in a residential home therefore he is not eligible for FNC and his Registered Nursing needs are provided through the community district nursing service. The recommendation is for Nil funding from health. No review planned at this time.” Firstly The ‘residential home’ as referred to is a Residential Care Home providing high level of Care and Support for dementia sufferers! It has a dedicated specialist dementia unit which is providing 24/7 one to one care! Your thoughts/advice please? More importantly I am devastated CHC is declined. He has 1-1 24/7 care in the dementia unit, he has been deteriorating since moving to the care home 2 years ago, however he had a sharp decline in December, now unable to walk, unable to feed himself, cant understand simple instructions, doubly incontinent, severely cognitively impaired unable to communicate needs, no awareness of where he is or why he’s there and doesn’t know us. He’s changed/showered 2/3 times during the night, a special bed to prevent bed sores & changed numerous times during the day. I have received the local authority report & infuriated by the statement: “The outcome was that Mr X would qualify for FNC, however he is well cared for at […the care home…] which is a residential home which works closely with GP and District Nurse to meet his nursing needs”! Your thoughts and advice would be really appreciated. Jane – ref Multidisciplinary Team’s (MDT) report. Two points – (1) you should ensure that MDT has included the directly provided NHS services in the totality of nursing or other health services in regulatory NHS Continuing Healthcare (CHC) test – also see para 58 of revised Nat Framework: and (2) NHS services cannot be incidental or ancillary to local authority provided accommodation – different providers. Test can only apply where provider is the same person. Case law supports this view. On this basis, MDT ought to have determined that Mr “X” has a primary health need and is, therefore, eligible for CHC. Jane – NHS services cannot be incidental or ancillary to local authority provided accommodation – different providers – therefore “primary health need” – eligible for NHS Continuing Healthcare. My wife who has had Vascular Dementia for 3 or 4 years, is currently in a specialist hospital unit over 50 miles from home. She is deemed fit for discharge and has been assessed on the NHS Continuing Healthcare (CHC) Checklist scoring 2As,7Bs and 2Cs. A full assessment is awaited.. I travel over 100 miles every other day to visit her. I have asked if she could be moved nearer home but little is being done as different counties and CCGs are involved. Any advice on this would be helpful. It is likely that my wife will have to go into nursing care. While I think I understand the NHS CHC eligibility assessment process, I am unclear on the exact definition of a nursing home and the precise care limits, (incidental, ancilliary as per Coughlan), that LAs can provide. (A friend owns a care home listed with RNHA but has said she would not be able to take my wife.). Also, is Funded Nursing Care payable automatically if someone has to go into a nursing home but does not qualify for NHS CHC? Mum has been in a nursing home for 18 months. She is funding herself as we had to sell her house. She is receiving Funded Nursing Care (FNC). We have had a Continuing Healthcare (CHC) assessment last year and we had a further meeting one year on. She has scored 3xA, 3xB and 5XC but we were told she has not qualified for CHC. What does she have to score to qualify? i can’t seem to find this anywhere. My Dad has cardio vascular dementia he’s just turned 90 yrs old. He pays £2,880 pm just for his placement in the care home and that’s all his pensions. the council and the home pay £2k each. Dad’s been assessed for the 2nd year, can’t speak, is fully incontinent, can’t walk, doesn’t know me and has no memory of his past life. Has to be fed purified food. He has Funded Nursing Care but still NOT the full package. He’s £10k under the £23,750 threshold and still pays for his own care. Ive been informed that the only way they get their care Fully Paid is when they are on their deathbed with only weeks or days to go. So while this goverment does nothing it will continue. My mother has been in a nursing home for two years. She was assessed for Funded Nursing care (she was eligible and still is following her review) and money taken off her nursing home bill monthly (she is self funding). The Nursing home have now said they are going to keep the FNC money every month, so she will have to pay nearly £500 more per month. Is this right that they can just move the goal posts!! The nursing home is in special measures and little to no help on a daily basis from RGNS!!! Other relatives at the home are in the same position. Sarah – no, they can’t just change the goalposts at will. Check the contract between your mother and the care home. See my reply to Kevin above. On my mother’s contract when she went into care the contract said the charge for residency is currently then just ‘a £ sign and a star per week, room number 16’. Then my mum was moved to the nursing side and the new room number added. Mum has been receiving Funded Nursing Care (FNC) for the last four years, but the contract failed to address the subject of FNC. When I have telephoned Adult Services l am spoken to by members of staff that are very abrupt and incredibly rude, saying it comes as a package and we can’t measure the heating in your mum’s room. I applied to the CCG for a refund of a late relative’s nursing home fees where she was self funding from 2004 until her death in 2009. We have finally received the Decision Support Tool covering all her needs before a decision is made re any refund. On reviewing this I was very upset and disturbed to discover that investigations have only been made for 2008 and 2009. They say that in 2004, 2005 and 2007 (they missed out 2006) a RNCC assessment was done and she was medium banding. Does medium banding mean she did not qualify for RNCC funding? Is it worth challenging this? And should I ask if a NHS Continuing Healthcare assessment was done first? It is very annoying as 2008 and 2009 were the periods when she did receive some funding from social services as her finances dropped below £20,000 so she was only paying £450 a month then instead of £2,000 a month for the years they are not accounting for! Also she was registered with the court of protection and mentally incapable since 2001 but there is no mention of this in their report! we have waited nearly 5 years for this and am really upset they are discounting those years when she was funding her care on her own. She was admitted to the nursing home directly from hospital but there are no reports of her condition upon release as they say it is outside the time frame. Is it worth challenging this? I have read your e book and find it very useful. If you could offer any advice on this I would be so grateful. I have two weeks to respond to the CCG before it goes to panel. Looking at the findings for the years they have covered I think we may get something back as her needs were high re nursing care. Gaps in the review period are sadly not unusual, Shirley – and many families have to go back and challenge what’s been done by the review team. It can be pretty shambolic. Prior to Oct 2007 there were 3 bands for RNCC, whereas after Oct 2007 there was just one band (except for people on the previous High band, who continued to receive a higher payment). So if they’re saying she would have been on the Medium band, then she would have been eligible for RNCC, yes – but at the Medium band rate. If an NHS Continuing Healthcare assessment was done first there should be the paperwork to match. If there’s no paperwork you can generally assume it wasn’t done. Thanks for your kind feedback on the book. Melanie – they “.. get away with it ..” because they aren’t properly trained in understanding their legal obligations and that the people they’re dealing with (through no fault of their own) are, in the main, unable to effectively fight back. You have to fight back and fight back hard. I know it shouldn’t have to be like this but the days of public sector integrity (albeit with a few exceptions) are long gone. From what you say your mum has significant nursing care needs which require the provision of nursing services. These services can only be provided to her in a care home setting – hence FNC. In applying the legal ” .. more than incidental or ancillary ..” test, the provision of the nursing services constitutes an aim in itself RATHER being a means of better enjoying the provision of accommodation services. On this basis, the nursing services cannot be incidental or ancillary to the provision of accommodation. That said, you might want to consider making the argument set out in the recent article “Funded Nursing Care: Why decisions may be wrong” – make it to the Chief Executive of the relevant CCG and copy to the relevant local authority Director of Social Services. This is to ensure that the (written) communication is evidence for possible future use. 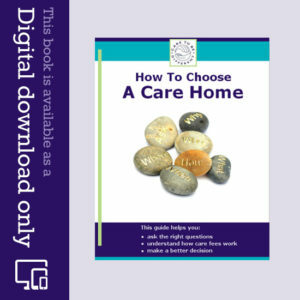 Note: Nursing care can be made available to people in their own homes; it does not have to be in a care home. Funded Nursing Care (FNC), however, does apply only to nursing care homes. Melanie – challenge what you’ve been told. If your mum scores more highly now than in previous years when she’s been receiving CHC, then the funding decision can only have been made on the basis of cost, something that is clearly should not be part of any CHC assessment process. Also, no such decision can be made without a proper review – looking at evidence and comparing needs to those detailed in the previous assessment paperwork. Even if a person’s needs actually decrease, they may still have sufficient care needs to maintain their CHC eligibility. 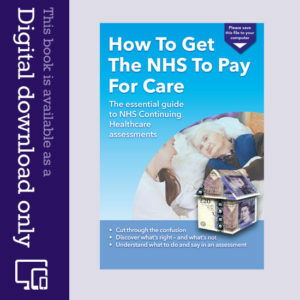 This may help: http://caretobedifferent.co.uk/appealing-a-continuing-care-funding-decision/ It applies as much to reviews as it does to initial assessments. Wishing you well, Melanie. It beggars belief that many assessors seem to have never heard of the Coughlan case, and yet it is so fundamental to this whole process, and of course the National Framework even has a whole section on it. I wouldn’t be surprised if ‘internal’ guidance’ document your assessors mentioned doesn’t actually exist. Angela – it exists. Now have a copy which has been sent under pressure from my solicitor. This is entirely contrary to justice but the CHC process is entirely that. My mother has alzhiemer’s and frontal temporal lobe dementia. She has been in a residential home for almost a year. Her GP has requested a reassessment of her needs as her condition has deteriorated recently. She thinks that she needs an EMI and nursing care placement. If this is the case will she be eligible for Continuing Healthcare funding rather than the social care funding that she currently receives? My Aunt has been in a nursing home for 3 years. I signed a contract on admission as her POA agreeing a daily rate for nursing care . After 18 months she was awarded FNC. At first the amount was taken off my bill. Since the latest increase i queried why the amount is not coming off her care bill as she was on the highest level of nursing care they offered. I was told today in a very aggressive manner that ” the money is ours to pay for more intensive nursing as her needs have grown ” ” it will not be deducted from your bill and it is ours to do with as we see fit ” This was not in my contract with them and she entered on the top rate of care and her needs have not changed. Can they do this ? I have withheld payment until I get an answer from someone as its so unfair. We sold the house to pay for care and we agreed a level of care pre FNC agreement so surely this allowance should come off her bills ? Can anyone help ? The care home accountant reckons they buffered the bill until the FNC came through ?????? But there was no guarantee of getting it an its not in the contract . Ana – if the contract with the care home states that the care fees include all nursing care, the care fees should reduce by the national amount of FNC. You may want to notify the CCG that the care home is potentially mismanaging these payments. Our mother has dementia and needed nursing home care on discharge from an acute hospital stay. (for dementia) and is self funding. We did not hear about the Funded Nursing Care (FNC) payment until 2 months into her stay, ( although it was mentioned in the home contract when we examined it further,but we were not told about it,and it didn’t register with us on admission as it was our first experience of the whole Care system). We were not informed/ could not get answers to our enquiries re our mother’s Assessment or careplan until just before she moved to another home after 4 months.At that point we were told by the manager that she was in the “residential ” part of the dementia unit and “had no nursing needs” and therefore the FNC would not be applied for. She had in fact needed care for a leg ulcer for a short while,and was also on medication. ( The system used by the home was to apply ,where eligible,and then refund the FNC received from the CCG ,back to the resident. ). £112 per week would obviously have been very helpful to stretch funds to pay costly care bills.Do we have any recourse to persue the matter further? We understand it can be applied for in retrospect after leaving the home. The home where our mother is now living,applied automatically ( with our consent) as part of the admission process. The only way FNC can be awarded is if a Continuing Healthcare (CHC) assessment has taken place first. If your mother has never been assessed for CHC, insist that this is done right away, and make a claim for any fees falsely charged. You should have been included in any previous CHC assessment, and you should be involved at every stage. My aunt is currently in a nursing home in London. She has been there since May 2015 following discharge from hospital when she had an NHS Continuing Healthcare (CHC) assessment done. She did not get the CHC but was awarded FNC (£112pw). We are now moving her to a nursing home in Devon to be closer to us. Do you know if the FNC will automatically come with her to Devon or will she have to be reassessed by the new authority? If so would that new assessment be a CHC one (which, although she has deteriorated, she is still unlikely to qualify for). I’m concerned that somehow she will even lose the FNC in the move. FNC should go with her, yes. If your aunt’s care needs increase, she should be reassessed for full CHC. This will probably be done by the new CCG and they will make a decision about ongoing FNC (or full CHC) – but they still have to abide by exactly the same guidelines and law. My sister has had CHC since 2011 now CHC seem to think she doesn’t need their help now as she is “Stable”. My sister has Huntington’s disease – please someone tell me when someone with HD becomes stable!! But they agree she needs FNC payments. I feel this is a cop out. She is in a situation now that once her savings has run out in February social services will move her from her present home of 6 1/2 years as they have said that they are unable to fund her there, even though CHC said in 2011 that this home was the best place for my sister to be cared for…..for the rest of her life. My father was in Residential Care for 18 months. He fell and needed some surgery at hospital. He has dementia and due to worsening health his residential home do not feel they can look after him any longer and will not take him back. Anyway I have searched and found a suitable Nursing Home for him. He has had the continuing care assessment and been declined funding, so until his funds reduce he will have to self fund, The fees are significantly higher than before; whilst I understand this because of where he is, I had read about the FNC. However when I read the Nursing Home contract, this tells me my fees will not be reduced by the FNC – they simply collect this is addition to what he needs to pay. I queried this with the Home and was told that is the case and no reduction can be applied. This seems grossly unfair, and misleading based on what I was quoted initially. Can I appeal this; surely the funding is to help towards his costs, not just an additional sum the home can claim a right to? Hi Kevin. If you disagree with the decision not to provide Continuing Healthcare funding you can appeal. I can empathise with your feelings about the FNC payment. It may come down to how the care home contract is written. If the care fees quoted are exclusive of any FNC payment, then care homes will argue that the FNC payment is to cover their own additional nursing care. If the care home contract quotes the care fees as inclusive of the payment, then any FNC payment subsequently made to the care home should be deducted from your father’s fees. I agree with you, though – and, to me, the system seems open to abuse. Does anyone know who is responsible for reviewing needs once someone is in Nursing care? My mother has Alzheimers Disease and is in a Nursing Home and receives FNC following a refusal of CHC funding in October 2013. I have recently contacted the local CCG and asked who is responsible for reviewing her needs as she has a deteriorating condition and 2 years on she may well qualify. I was told that it is not the CCG responsibility to review their patients who are receiving FNC – so who is responsible?? The Continuing Healthcare team at the local Clinical Commissioning Group (NHS) should carry out Continuing Healthcare assessments and reviews. The statement from the CCG is incorrect. It doesn’t matter whether or not a person is already receiving FNC, the same thing applies. In many instances it does fall to the family to ‘remind’ the NHS that an assessment or review should take place, but it’s the CCG who should carry these out. From previous experience, following initial assessment there should be a review after 3 months then every year. This was usually done by a specialist nurse who would not only review the patient but also their nursing needs and notes. After mum being in a nursing home for some time paying full fees I was told by the matron/manager that the nursing care element was given and the fees were subsequently reduced. I didn’t understand the system then so was just pleased to get care a bit cheaper. I had no idea when or why it was awarded and certainly wasn’t told about any assessment being made or the outcome. Now I’m wondering (a few years down the line) whether I should of received a refund of the overpayment or perhaps even got full continuing care and not just the smaller weekly amount paid. I’ve moved Mum to another home recently and have been billed for the full amount. So does this mean I have to reapply for the nursing element? As explained above, I’ve no experience to fall back on as it was all done without my knowledge last time. Working my way through these various articles; which are complex in themselves, but further aggravated by the errors, misconceptions and downright mischief that continues in our health and social care systems! Thank you so much for your kind words, Delia. Yes, the amount of maladministration that goes on is truly shocking, and is further evidenced by the accounts of many hundreds of families who have contacted us over the last few years. It’s a terrible situation and an absolute scandal.